In Bells, Gongs, and Wooden Fish, Venerable Master Hsing Yun grants voices to the objects of daily monastic life to tell their stories in this collection of first-person narratives. From monastic shoes to robes and alms bowls, these everyday objects tell the story of their lives and the life of Buddhism from their own perspective. Originally published in 1953, the collected sketches are both lyrical and satiric. The collection of inanimate speakers describe and criticize the state of Chinese Buddhism in the early twentieth century in which educating the laity is an afterthought and the day-to-day activities of monastics are dominated by funerary rites. 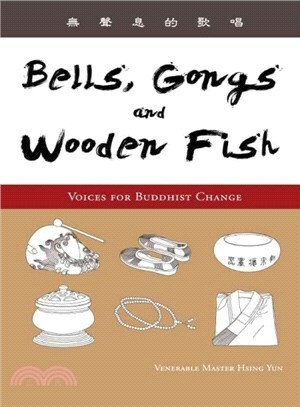 Bells, Gongs, and Wooden Fish showcases the beginnings of Master Hsing Yun's work as a Buddhist reformer, and describes a path to revolutionize, modernize, and humanize Buddhism that resonates to this day.